Our cruise is coming to and end but before we get to Port Canaveral, we arrived at one of the ports I really enjoy, Grand Turk. It's a small place but a lovely place to stop. The place is getting ready for the sun bathers & snorklers from the ship and those who want to just walk around and have a cold drink and buy some gifts before going home. The pool is a very large pool that stretches throughout the area. This where Mary Lou & I sat and rested for a time. This time the cool breeze helped us with the hot sun. The last time we were here, it was so hot that we had to back to the ship and cool down. This time it was enjoyable. Here are some photos of the pool area. The reason I showed this photo was that the entire pool is only 3 feet deep where you could walk around throughout the entire area of the pool. This little tyke was crying when the parents put her in but after her dad pulled her around she was totally enjoy her ride. As we were going to go back on the ship, we asked a lady to take our picture and after in turn I took her picture that she was so happy about it. 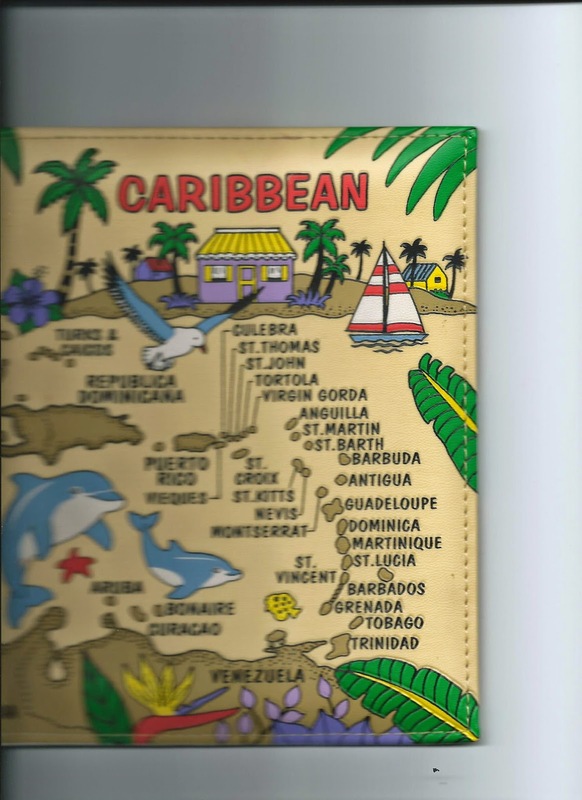 This time we went into all of the different shops and once again I was able to pick up another photo album of the Caribbean. After buying this album we decided to get back on the ship. Later that evening we had our final dinner with our new friends Rick & Carol. After enjoying the dinner we shared emails and planned to keep in touch & hopefully see each other again. I mentioned to them that my next cruise was on the Breeze out of Miami in January 2016 and they said that they would see about it but it sound like it would be great. I hope we see them again. I so love Grand Turk. I can remember seeing most of those things and we had lunch at Margaritaville. It was delicious. What fond memories. I see you have a cruise already lined up for next year. Good for you. I'm with you Sandee. There is just something about Grand Turk that I love. I don't mind if I go to it each year. Thanks stevebethere for commenting. Yes Grand Turk is a beautiful port and is a very relax full place. Sounds and looks like Paradise to me! Here in New York we're getting another 9-14 inches of snow tonight. Thank you for reminding me of the tropics. It warmed me while viewing it. :) Great post, Paul. It was paradise Marcia. Thank you commenting in my blog. I'm so sorry to hear about the heavy snow. Please be careful. We just dug our of 2 feet of the white stuff. Now it's raining and freezing. Winter!